Born in 1989 to legendary Rolling Stones rocker, Bill Wyman. 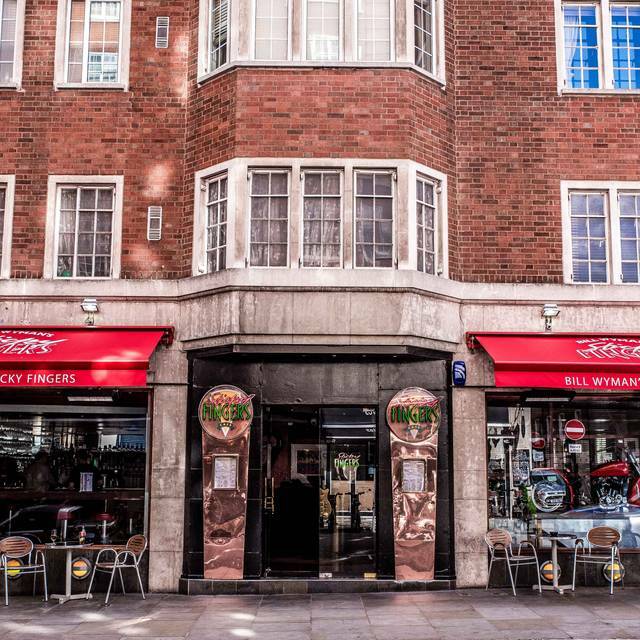 Sticky Fingers Café was aptly named in tune to the infamous album released by the band and was the concept of Bill Wyman’s idea of what kind of restaurant he enjoyed and London should have. 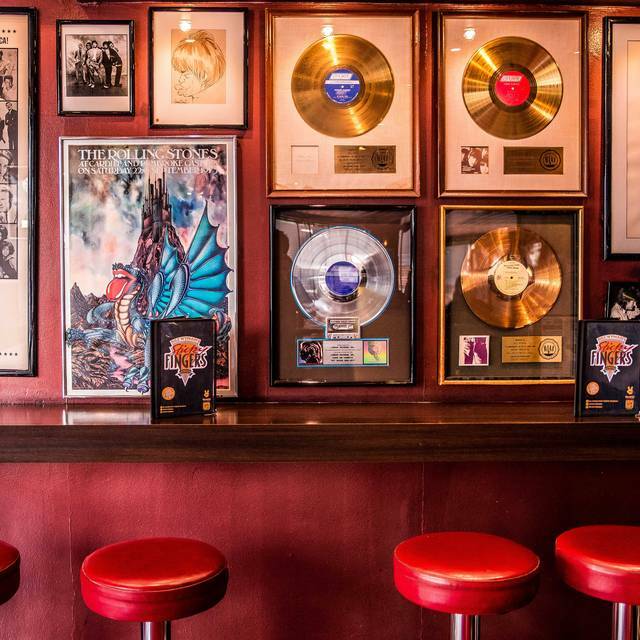 This haven of good times, great food, and original Stones memorabilia continues to provide an enviable environment for eating, drinking, and having fun. 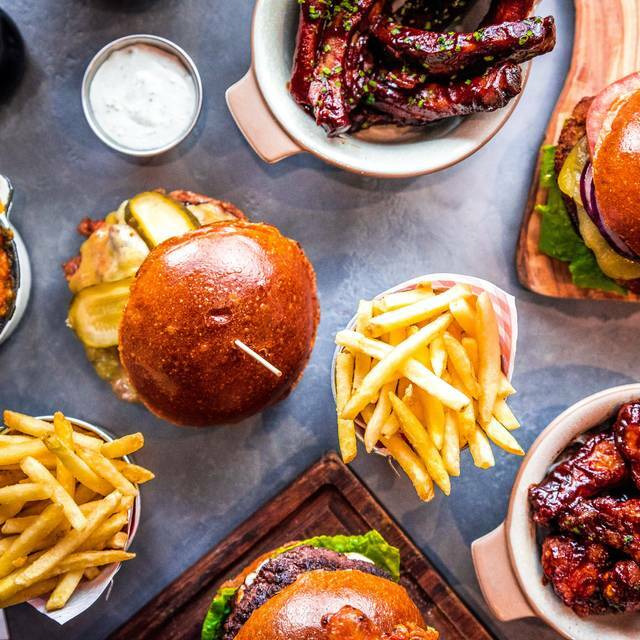 Bill Wyman’s Sticky Fingers remains one of London’s favored restaurants serving award winning burgers, great tender steaks, and the best ribs in London. 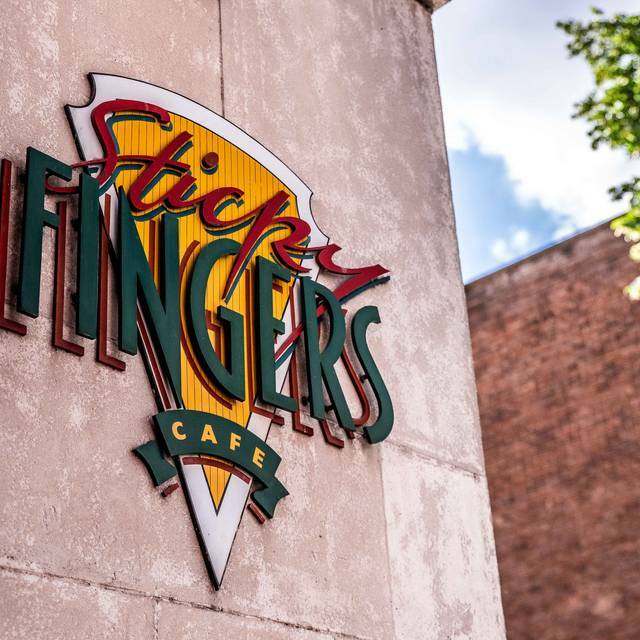 The service is always friendly and welcoming testifying that Sticky Fingers is even stronger today than the trend it started many years ago. All at £7.95. 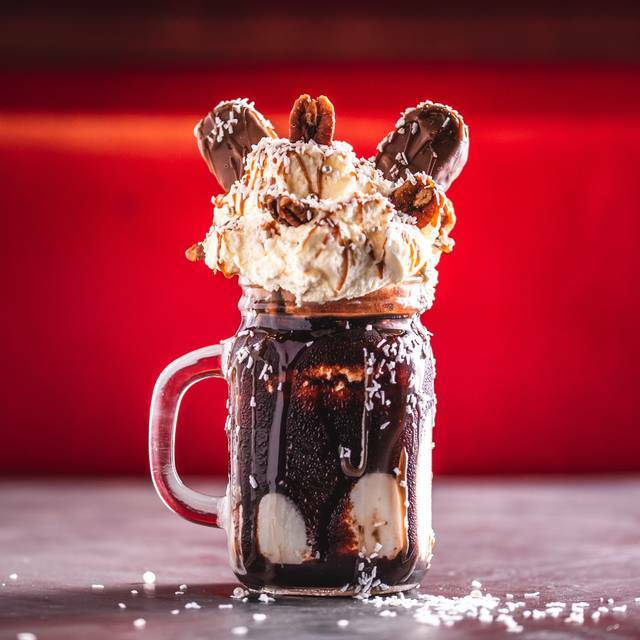 Ask your server for today's Freakshake flavours! Terms and Conditions: Maximum of 10 diners. Includes VAT, excludes service. I liked the ambience but the starters and mains were both cold. Staff did apologise and offered a small discount, but the food was disappointing. Good food but slightly overpriced for what it is! Mother's Day: from my perspective...parents, sister and son, so three mothers! Mother found the quantity of lettuce too much in her caesar salad, but still enjoyed it. Father enjoyed his mac n cheese, but he hardly eats anything any more. I liked my vegan salad though it was slightly dry after requesting the vegetarian option be converted to vegan, the quinoa needed more veg or something moist, however the sweet potato fries I had as a starter were delicious. My son loved everything he ordered, the main was New York Burger, though he did pass his coleslaw to his Grandpa! Very pleasant meal and good food, enjoyed by everyone. I wanted to find a restaurant that had ambiance, good food, not overly expensive but more importantly somewhere that 2 teenagers would feel happy at and not moan that nothing on the menu appealed! Sticky fingers ticked all the boxes, the best ribs and nachos ever. Service was excellent, food was delicious, good size portions and reasonable prices. We had a lovely evening and will be back. Thank you. I suggest Sticky Fingers installs some subtle soft furnishings in its restaurant to reduce the overwhelming echo from diners. Bit tired as a restaurant now but fun enough still. Service a bit inattentive. Food good without being remarkable. Pricey for what you get but the Wyman element gives you the sense of it being special to be there and"worth it"..
Firstly we waited a while before someone came over for our food order although it wasn't busy. When the order finally came, it was wrong. I'd asked for an American cheese burger and was given a blue cheese burger. When I raised this, I was asked whether I wanted a fresh burger or for them to just bring me some American cheese! I received an apology from the manager for the error but no apology from the waitress. They must have been short staffed as the manager was also waiting on customers but I'm afraid to say that the service was very poor although the food was great. Restaurant smelled like stinky fish. Table top was very sticky. Ribs were dry. My daughter’s Mac n Cheese was cold, grainy and nasty tasting. Do not waste your time or money. 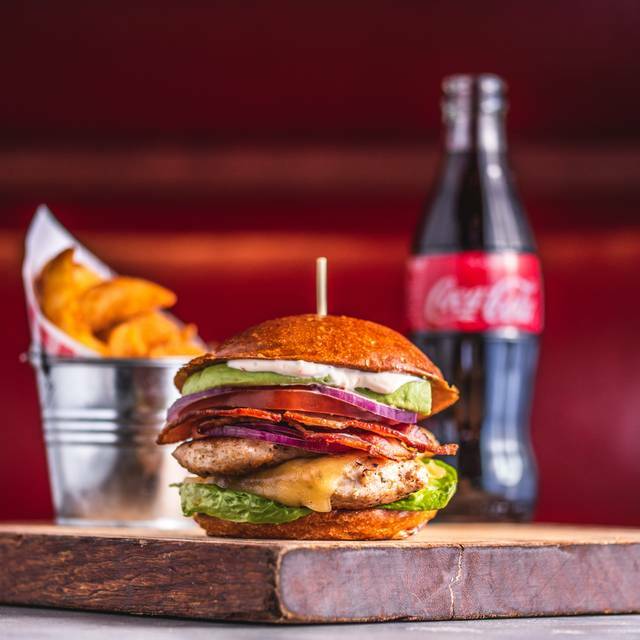 Lots of better “American “ places to eat in London. We ate at 17.45 on a Sunday prior to going to the Royal Albert Hall. The place was quite busy but service was prompt. Good menu range satisfied our varying diets! Discounted cocktails were a real bonus. Food was very good. Vast dish of nachos as a starter, which was meant for two but took four of us to nearly finish it. 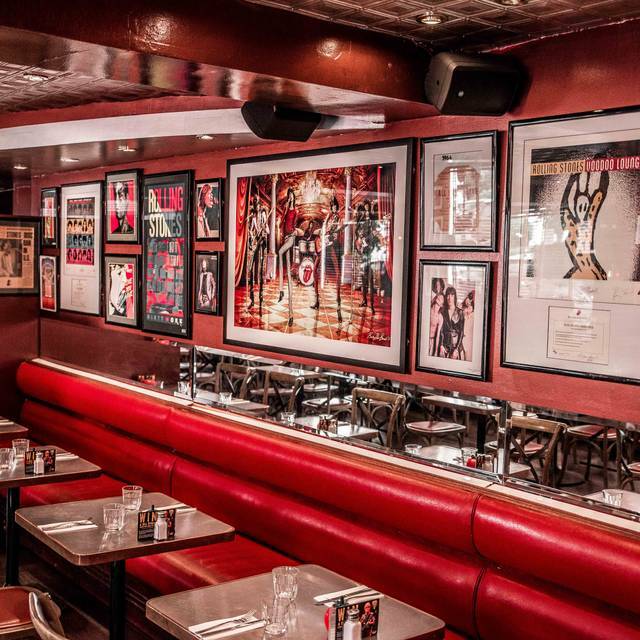 Good atmosphere especially with all the stones memorabilia on the walls and on their speakers- could have done with more from the Decca era though! Service was good but a couple of minor shortcomings. We ordered Nachos to start with and they brought out the mains first- the waitress forgot to add it to the order. Also no draught beers which I normally drink to accompany my food. All was good ,however the 1 complementary shot of prosecco was just embarrassingly stingy. I thought it was a shot of sambuca as I have never heard of a shot of sparkling cheap wine before. Also do not expect to get tipsy on the cocktails there,they have an extremely low alcohol content. Service and decor and music was excellent. We had been to SF once before and had a fantastic meal. We decided to take some friends who hadn’t been before and the experience was completely different. The chicken fajitas that 3 of us had was dry and tasteless. The cheese was out of a packet and was also dry and didn’t resemble cheese at all. My friend had a portion of sweet potato fries and these were actually still frozen. The meal over all was poor and extremely overpriced. I had a gourmet society card which should have entitled us to 25 percent off but this was questioned twice and I had to go to the cash desk before this was actually (begrudgingly) taken off. We will not be returning to SF. Booked an early evening table and was worried it might be too quiet for such a place. Needn’t have worried - great vibe and able to linger over coffee at our table - taking in the artworks and guitars! 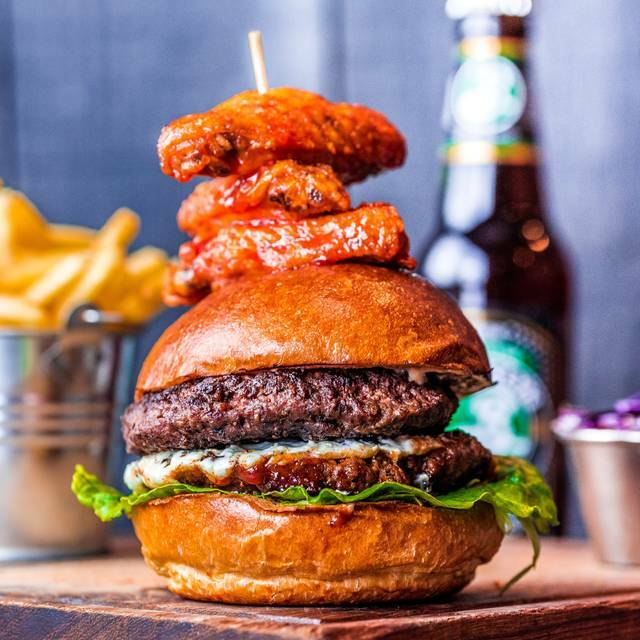 Delicious food, with plates heaped high, plus excellent service and brilliant decor. Will be back. Solamente por el ambiente ya vale la pena ..
Service was really slow and took forty minutes wait for an ice-cream sundae, there were three of us and it took 2 and half hours to serve three mains and one pudding. We had the burger which was nice but very pricey. Toilets were in need of a refurbishment. Would not visit there again which is a shame as looked nice on website. There were plenty of empty seats. There's one brand of beer on draught (Heineken and Heinken Light). There is mixed drink menu which apparently can't be deviated from. Though there was a, for me, fru fru martini; it isn't possible to order just a plain martini. The food, to me, is as though it just came out of a food service truck (think Sysco). The one dish involving some cooking which one of us ordered was grilled salmon which was overcooked. I'm sorry we went there--wouldn't go back. Tables and chairs were very old and tired and need replacing. Table behind with two drunken girls were loud. Tables in front had 6 families which were very well behaved and a lot quieter!! Good to experience but the service was very poor. We ordered drinks which didn’t arrive until after the food and only when reminded. It seemed that we were asking too much if we needed anything else. Our server poured our drinks which I always find inappropriate. Overall not a fantastic meal out. Regular and love the place. Noisy crowd on this time but adds to the fun. The restaurant felt tired, the food was very poor and there wasn't much ambience. Despite the deal (50% off food), still felt overpriced for the quality. Super Restaurant wenn man Rolling stones Fan ist. 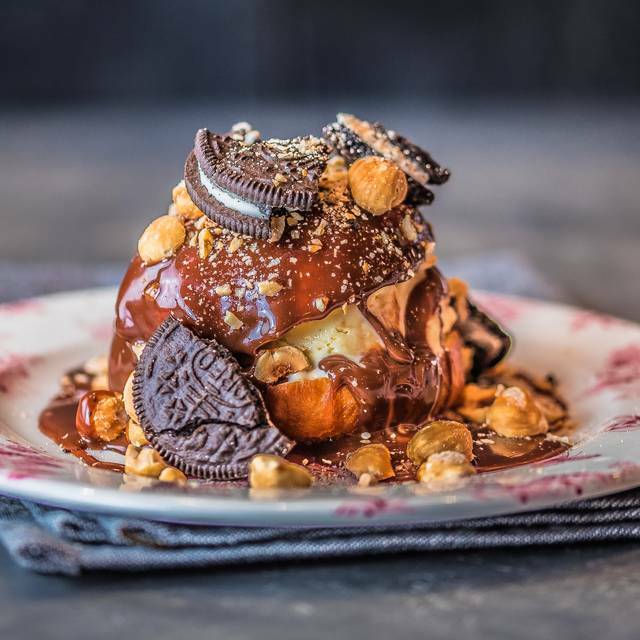 Wenn nicht dann ist es ein sehr teures american diner.